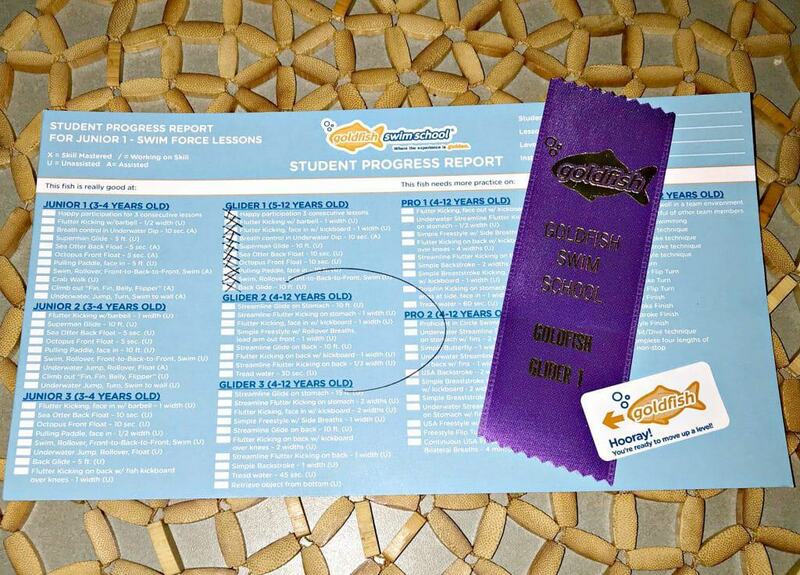 Disclosure: We partnered with Goldfish Swim School. All opinions are my own. 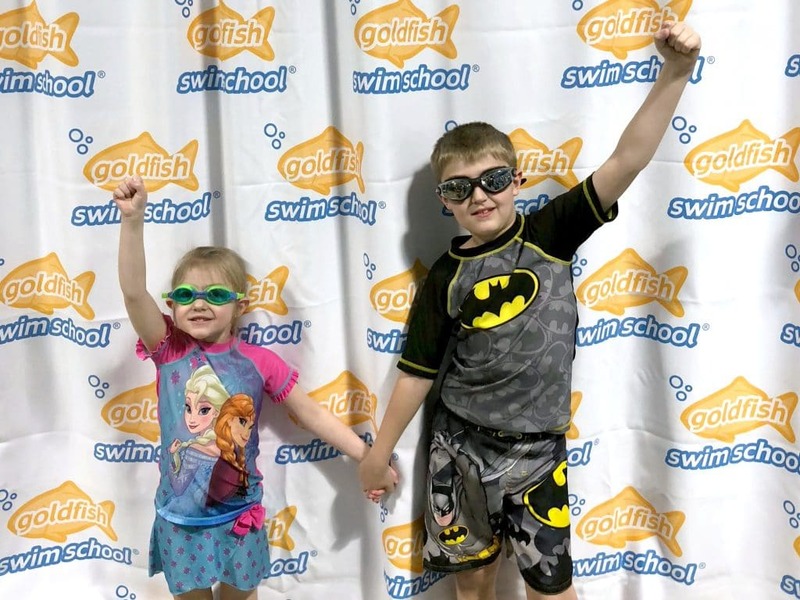 We finished our last month at Goldfish Swim School and boy are we already missing it. These past 3 months have been tremendous and we have seen some amazing growth in our children. 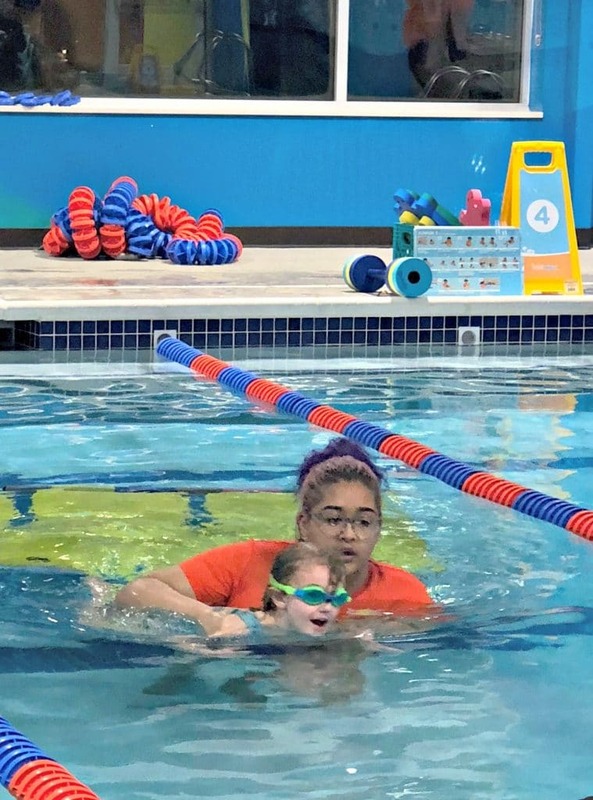 I want to share everything I can about this phenomenal swim school, so without further adieux lets look at the progress and some of our favorite things we love about Goldfish Swim School! I swear each week she got better and better in the water. She went from sinking and just staying under water for as long as you would let her, to being able to swim a few feet at a time, coordinate her arms and legs and actually realizing that she needs to get a breath in between going under. Her form got better and better and she was SO CLOSE to testing into the next level. I am hoping that when we start back up in the summer she will cruise right into the next level up! This boy has always been my cautious little man. I was fearful that he would never learn to swim and that he would forever be stuck to my hip in the water. Nope, not even close. That cautious attitude actually helped him to really focus in his lessons and study each skill. 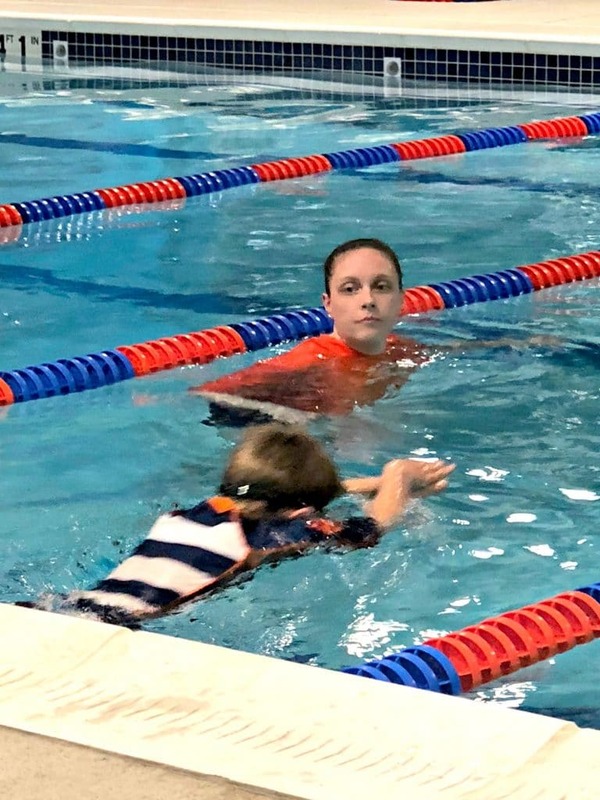 He listened so incredibly well to his instructors and this boy can swim. Gliding, back float, survival float, diving, he has it down. These lessons were transformative for him and such a great self confidence builder! The positive reinforcement from Goldfish Swim School is beyond amazing. It is easily one of the most friendly and supportive places that I have experienced. Everything is catered to encouraging the kids and making it a place that they want to come to. When they do the progress reports, they always focus on the positive of what your child has accomplished and they consistently praise them. 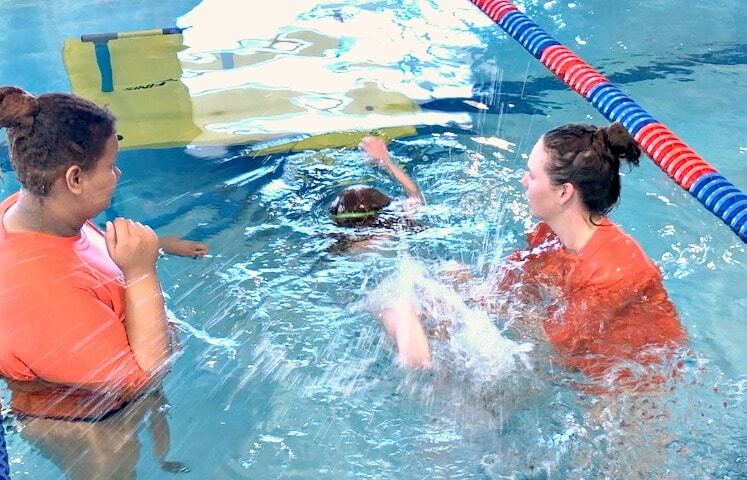 My kids loved this and I truly believe that it is why they just adore swim lessons. My kids are obsessed with picking out the prize of the week after lessons each time. Sometimes it is a sticker, sometimes a ribbon or even these awesome Bubbles the goldfish water toys. Each week was something new and something that they looked forward too. My son keeps his prizes in the pocket of his seat in the car and plays with them constantly. They just treasure them! 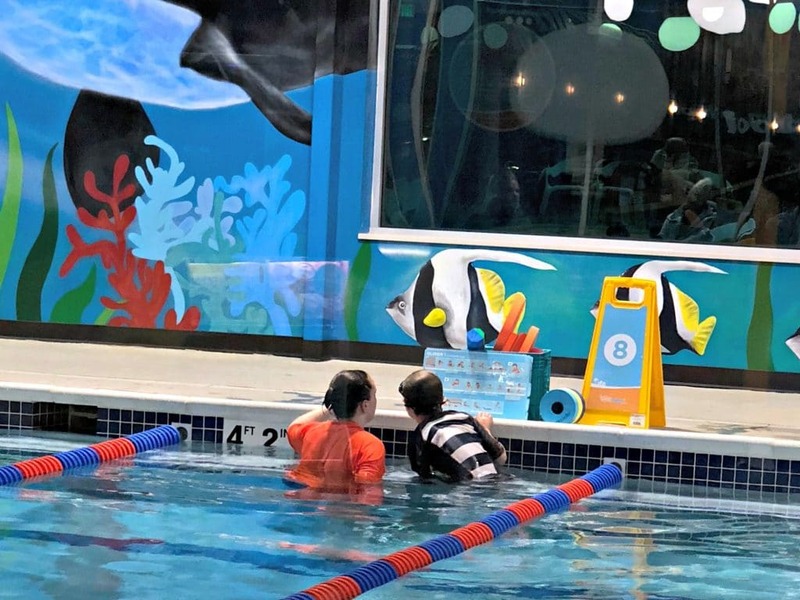 We are so incredibly thankful for this experience and highly recommend checking out Goldfish Swim School. Our lessons may be done and right now our schedule is just too hectic to sign on again, however, we are planning on doing some of the jump start clinics before summer hits. 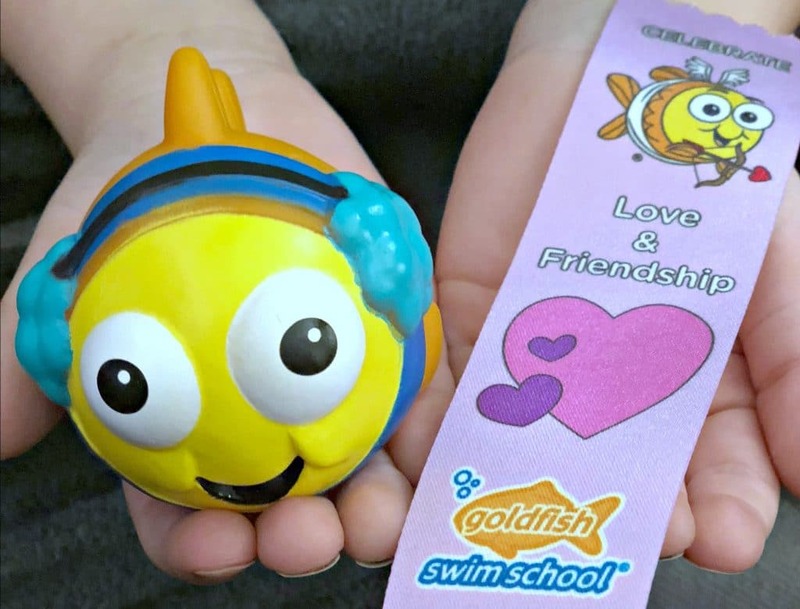 I have nothing but amazing things to say about Goldfish Swim School and at this point all I can tell you is to check them out, call, stalk them online and read other people’s reviews. They are that good!